It surprise ́s many foreigners when they learn that the flight to Iceland from most main cities of Europe takes only about 3 hours. – And New York is only 5 hours away. – In Iceland everything is about unspoiled amazing nature, fresh air and clean pure water. And romance is in the air during the bright nights of summer! – If you feel like it, many outdoor activities can be arranged in the calm evenings. Meet and greet at Keflavik airport and transfer to hotel. Accommodation: Hotel Borg or 101 Hotel. Meals: Dinner. Transfer time from airport: 40 min/ 60 km. The Golden Circle tour includes Thingvellir National Park, an UNESCO heritage site, Geysir hot spring area, visit to a geothermal farm, Gullfoss, the Golden Waterfall. Activities on the way; snorkeling in Silfra or light hikes. Accommodation: Hotel Borg or 101 Hotel. 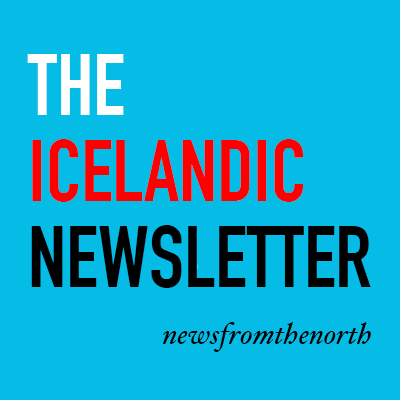 Meals: Breakfast – Surprise lunch in the nature – Private Dinner at an Icelandic home with musical entertainment. Tour duration: 6-7 hours / 300 km. Thrihnjukagigur a dormant volcano crater – the tour down there is one of a kind in the world. Blue Lagoon geothermal Spa to soak for wellbeing – VIP entrance. Accommodation: Hotel Borg or 101 Hotel. Meals: Breakfast – Lunch – Dinner. Tour duration: 7 hours /120 km. DAY 4 WHALES AND HORSES ! City sightseeing in the morning. Private whale watching with lunch on the yacht. Later, visit to a horse farm and horseback riding. Dinner at a geothermal farm and learn how to cook an Icelandic meal. Accommodation: Luxury private resort and spa in the country side, Trophy Lodge or similar. Meals: Breakfast – Lunch – Dinner. Tour duration: 9 hours / 150 km plus travel on sea. Day tour by helicopter from the resort. A bird view at glaciers, rivers, volcanoes and black lava sand beach. Private rib boat tour on the Glacier Lagoon. At Langjokull a tour inside the glacier. Accommodation: Luxury private resort in the country side, Trophy Lodge or similar. Meals: Breakfast – Lunch – Dinner. Tour duration: 8 hours / approx. 3 hours in the air. Super jeep tour. Try self- drive over unbridged rivers. Reynisfjara, the black lava sand beach. Snowmobile ride on Myrdalsjokull glacier. Farewell dinner and entertainment in Reykjavik. Accommodation: Hotel Borg or 101 Hotel. Meals: Breakfast – Lunch – Dinner. Tour duration: 7 hours / 300 km. Meet and greet at Keflavik international airport and transfer to hotel in Reykjavik. 2 nights at a Luxury private resort in the country side (including breakfast and dinner). 4 nights at 4* hotel in Reykjavik including breakfast. 5 Lunches (one surprise lunch at a special place and one aboard the whale watching yacht). 6 Dinners (one at an Icelandic home and one home cooked at a geothermal farm). Transportation; 4 WD Super Jeep for 4 days and helicopter on day 5. Private rib boat tour on the Glacier Lagoon. Snorkeling or light hikes. Professional English speaking private guide. IET staff member on call 24/7 to handle any unforeseen situations – temporary local mobile phone provided.